At Hillarys, our mission is to ensure that every room in every home gets the attention it truly deserves. Our inspiring collection of carpets, awnings and made-to-measure window dressings feature more than 1000 stunning designs, from bold patterned fabrics to understated neutral options. For more than 45 years, our in-home service has been tailored to exceed your expectations every step of the way. Made to Measure, Made Simple. We were the first UK company to sell blinds online way back in 2000 and shortly after curtains, the very earliest days of the internet. We are proud to have been the first, but not too proud to realise we need to keep working hard every day to make our customers happy! Well-designed conservatories and rooms deserve nothing less than the most exceptional blinds. Available in a range of colours, our impressive collection of blinds is designed to showcase the beauty of your design. We use cutting edge technology to make our blinds, and they consist of a layer of Aluminized Mylar which is a highly reflective film that was developed from the NASA Space Program. Our blinds will create a warm ambience that makes your conservatory or room a relaxing place to work or unwind alone or with family, anytime of the year. We also offer a wide range of patio awnings, ideal to optimise usage of outdoor space and indulge in alfresco dining and entertaining. Our home is a place to cherish, showcase and enable with in every possible way. The focus of our business is on craftmanship which is why we make up our work on the premises using traditional hand finished methods. We specialise in being able to meet the demand of interior designers, whether the demands are in design, the complexity or the size of the job - but whichever, always in respect of the quality of the finished work. Born into a respected interior design and furnishing family with a long heritage in the industry, Sarah has grown up working for major interior designers and producing work which hangs in the homes of many well known Clients. For More information on our long heritage, have a look at our history page on our website www.clarkandenglish.co.uk So what you get with Clark & English is our experience and professionalism in creating your design ideas. Because we are, First and Foremost, in the business of professional make-up for professional designers, we are used to working with other people's ideas and, where appropriate, enhancing those ideas. 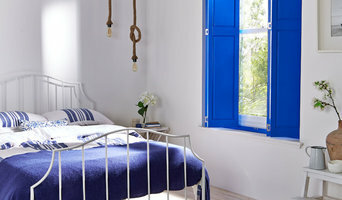 We are a family run business offering quality made to measure curtains blinds & Plantation Shutters. We are the only supplier of Markilux external shading products throughout Lincolnshire. We have a large selection of fabrics from brands such as Romo and Voyage, full range of blinds from Luxaflex including the latest technology in blind automation, all of our products are available to view at our new showroom at Cedar Parc in Lincoln. Fabric Design, often described by customers as an Aladdin’s Cave, is a characterful, double fronted Victorian shop located on the main promenade in picturesque Matlock Bath, Derbyshire. Originally established in 1976 in a small shop in the neighbouring town of Matlock, Fabric Design quickly grew in reputation as a stockist of exciting and unusual fabrics and moved in 1986 to its present and larger premises. We take pride in our buying skills and our ability to offer customers something different to the usual ‘run of the mill’, in addition to providing exceptional customer service and interior design advice. Within our four rooms, we have 1000’s of metres of fabrics on the roll and also 100’s of metres of our pre-cut designer seconds pieces at very competitive prices. The roll stock is constantly being added to and updated and with such bargains to be had, our designer seconds pieces always get snapped up quickly. We stock curtaining and upholstery fabrics which range from cottons, plain linens, prints, embroidered linens, 100% wool tartans, damasks, jacquards, lampas, plain silk dupion to embroidered silks. Web-Blinds has been around since 2000, making us one of the most well established online retailers of made-to-measure blinds and shutters. Plus we’re part of the Hillarys family, so we’ve more than 45 years’ experience in the made-to-measure business. From Roller blinds to shutters, Verticals to Venetians, we can help you spruce up your windows with seriously gorgeous designs! 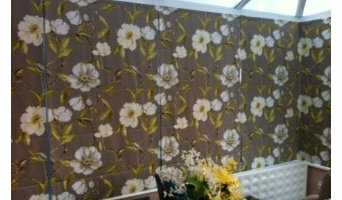 We are a leading fabric and curtain outlet that supply fabric for all your curtain and upholstery requirements. We offer fabrics from manufacturers within the UK such as Prestigious Textiles, Porter and Stone, Voyage, Fryetts, Samuel Simpson, Ashley Wilde and many more. 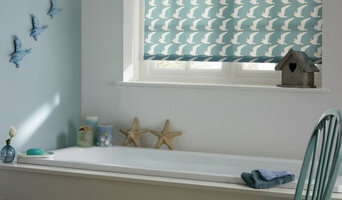 Luna Blinds Nottingham For all you window blind requirements. Free Measure and quote. Evening and weekend appointments. All types of blinds supplied and fitted. Expert advise over 25 years trade experience. Vertical blinds Roller blinds Conservatory blinds Perfect fit blinds Wooden blinds Venetian blinds Vision blinds. Family run business that puts customer satisfaction first. Free advice Free quotes Free measure. High quality blinds and service at fabulous prices. Innovative….Unique….and Distinctively Different…. Creatively Different offer a growing, eclectic range of over 7,500 exclusively-licensed images from some of the world’s most creative minds, past and present for digitally printing onto top-quality bespoke Venetian, Roman, roller, vertical, panel and pleated blinds. So let your home come to life with designs that are as individual as you are, and make your windows a stunning feature throughout your home!!! Think Creative. Think Creatively Different. Soft Furnishings-Soft Furnishers for homeowners and contract. What makes Rosa Rhodes different to other soft furnishers? Our unique and highly personal approach sets us apart! I have been in the textile trade for over 50 years, I have always dreamed of owning my own business and this is my dream come true. Window dressing and upholstery has evolved, so over the past 17 years I have attended courses updating myself in the latest trends to bring you, the customer, a unique quality finished product by professional friendly staff at very competitive prices. 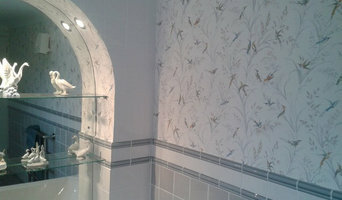 Offering a free no obligation quotation on measurements given by you on curtains and blinds of all kinds. Please feel free to browse my site and see what other products we offer. I even have an online shop enabling you to buy from the comfort of your own home. Curtains 2go started way back in the year 2000, one of the first internet retailers of made to measure curtains, and since then, our years of experience have taught us that excellent products are just the start- offering the customers impeccable service is the most important thing we can do. Manufacturers of innovative metal mirror window shutters, decorative security shutters and laser cut window grilles in contemporary styles to suit every modern interior, Suitable for home, contract, architectural and commercial interiors. Made to measure, easy installation, transforms living spaces whilst providing security and privacy. Curtain makers, retailers and designers in Nottingham, Nottinghamshire can work wonders with pieces of fabric, while fitting blinds or shutters can be tricky to do yourself, so it’s definitely a wise idea to hire a window dressing professional in Nottingham, Nottinghamshire who can design, make and/or fit bespoke blinds, curtains or shutters for you. Whether you want sleek roller blinds for your home office, roman blinds for your kitchen, venetian blinds to smarten up your living room, plantation shutters for your bay windows or delicate voile curtains for the bedroom, there will be Nottingham, Nottinghamshire curtain makers, blind fitters or shutter company to help you with your ideas on Houzz. A curtains, blinds or shutters company in Nottingham, Nottinghamshire will first be able to advise you on the style of window dressing that will work with your windows and rooms. If you have an idea or design in mind for your window dressing, then discuss this with any potential experts, such as curtain makers in Nottingham, Nottinghamshire, to see if your design and style is possible. You will need to work closely with them if you are planning on having custom curtains, bespoke blinds or shutters created. Curtain makers will be able to turn most fabrics into curtains, so if you’ve found a pattern or fabric you like already, present this to your Nottingham, Nottinghamshire curtain makers and they could be able to turn it into curtains for you. Even when clients don’t have certain fabrics in mind, curtain makers can suggest fabrics based on your style and the rest of the room’s design. They can pick out the right weight, thickness, length and pattern that would suit your room. Curtain retailers in Nottingham, Nottinghamshire will offer a huge range of readymade curtains, or curtains that can be adjusted or made to order. Contact Nottingham, Nottinghamshire curtain retailers if you’d prefer to choose from a large selection of ready-to-go curtains; whether they are high-end designer curtains or just plain white curtains; rather than waiting for some bespoke designs from a curtain maker that may take a bit longer. You may find that curtain makers in Nottingham, Nottinghamshire also offer a stock of ready-to-go curtains, too, but always double check with the professional first. Once you’ve decided on a design, curtain makers, blind fitters and shutter professionals will usually measure your windows or doors to ensure a good fit. If you are having blinds or shutters made then it will probably be best to have them professionally installed, too. Blind fitters and shutter companies should offer this service with their products as blinds and shutters need to be firmly fixed to the windows; something that most homeowners don't know how to do themselves. Although roller blinds and Roman blinds can be fairly simple, vertical blinds and Venetian blinds can be a bit more complex, and if you want remote controlled blinds that operate with the touch of the button, then you definitely need to call in the Nottingham, Nottinghamshire blind fitters. Plantation shutters are substantial window dressings and need careful measurements and installation, so it’s really best to leave the measuring, design, manufacture and installation to a professional Nottingham, Nottinghamshire shutter company. Blind fitters, shutter companies and curtain makers in Nottingham, Nottinghamshire should also check the insulation of your chosen window dressing and make sure there are no potential hazards once fitted. Finally, they should confirm with you that your curtains, blinds or shutters are functioning as you’d like them to before finishing the job. What should I ask Nottingham, Nottinghamshire curtain makers, blind fitters and shutter professionals? Find curtain makers, blind fitters and shutter professionals on Houzz. Narrow your search in the Professionals section of the website to Nottingham, Nottinghamshire blind, shutter or curtain maker professionals. You can also look through photos to find examples of Nottingham, Nottinghamshire window dressings that you like, then contact the curtain retailers, blind fitters, shutter professionals or curtain makers in Nottingham, Nottinghamshire who worked on them.